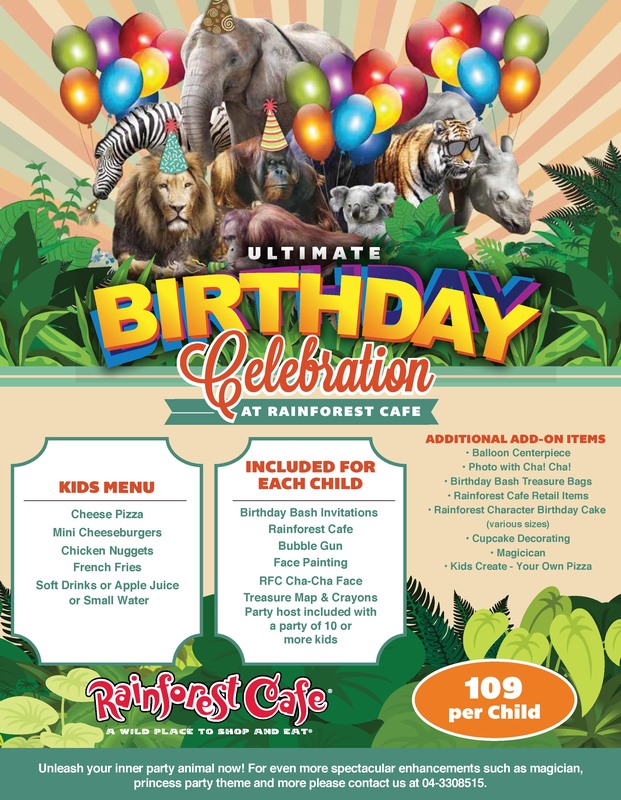 Rainforest Cafe is the ideal place to celebrate a birthday, perfect for kids and big kids alike! With a number of larger tables available and also private spaces if required, we love nothing more than a big occasion where our Safari Guides can make a real fuss! Whatever their age, we can organise for you to have a candle placed in the birthday person’s dessert or to offer our mouth-watering sparkling volcano to be brought to your table at the end of your meal. Either way, our Safari Guides will get the birthday person on their chair and gather all around you to sing  Happy Birthday!